How and why do successful entrepreneurs use visualisation to achieve their goals? You might have heard of vision boards, affirmations and the law of attraction, but how can you use these methods and other visualisation techniques to get what you want and achieve your goals? When you’re able to visualise yourself doing something successful, you’re far more likely to create the real experience. When you visualise your desires and goals in your mind and you imagine it happening, you start to believe it and these believes help turn it into a reality. Below I’m sharing 7 visualisation techniques which you can use to achieve your goals and get want you want! The first visualisation technique which I’m going to share with you is listening to music. Now you might be thinking, how is listening to music a visualisation technique in getting what I want? And I hear you, I know that listening to music isn’t exactly “visualise” but it can help you visualise your future, create motivation and build self-belief. First, write down your visions and your goals. Second, find songs that resonate with your goals. Lastly, listen to these songs as you visualise yourself achieving your goals and living your dream life! The idea behind focus mediation is to focus on your goals and desires. During focus mediation you should sit down in a comfortable position with your back straight. Start your mediation by noticing your breath, try to get your mind and body in a comfortable and calm state. Next, think of your goals and imagine yourself achieving these desires, imagine you have manifested your dream life. Another great visualisation technique in getting what you want it to write down your ideal day. Because to get what you want, you have to be clear on what you actually want. To do this you need to grab a pen and paper, I’ve always found putting pen to paper works best for this type of exercise, rather than doing it digitally. Now imagine your ideal day and think about where you are, who you’re with, what you’re doing, what your purpose is and how you feel. Expressing gratitude is another great visualisation technique. The more you’re grateful for in your life, the more you will find to be grateful for. To practice gratitude and use gratitude as a visualisation technique, grab a pen and paper and write down all the things you’re grateful for in your past and present, next write down all the things you’re grateful for your in future, as if you’re certain they’re going to come true. Affirmations are positive statements which you repeat to yourself in a way to support your success. They can help you develop a more positive perception of yourself and your life. The repetition of affirmations can be very powerful as they can influence your beliefs and help you get what you want. 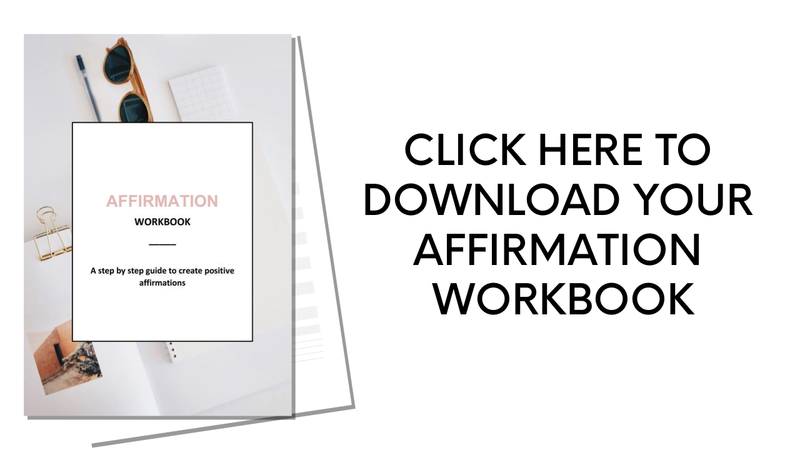 Write down your goals and practice turning them into affirmations. The easiest way to turn goal into an affirmation is to rewrite your goal as if it’s true in the present tense. Make your affirmation something you feel good about and something that you believe you can achieve. Once you’ve turned your goal into an affirmation, repeat the affirmation to yourself everyday. Either in a mirror or by writing the affirmations down several times in a journal. I created my first vision board when I was about 19 years old. Not only was it fun to create but I even achieved most of the things on the board. At the time I was stuck in a rut and needed something to motivate me and pull me out of the dark hole which I had fallen into. Creating this board gave me a purpose and it kept me focused on my goals. When you create a vision board you’re able to visualise your goals every single day, you’re able to imagine yourself achieving your desires and being the person that you want to be. The Law of Attraction is the idea that our universe operates under this ‘law’ in which like attracts like, meaning whatever energy you send out, you will attract back in return. For example if you focus on being positive and achieving your goals then your thoughts will materialise into your reality. The Law of Attraction uses the power of the mind to convert thoughts into actions and actions into reality, it’s the ability to attract what we are focusing on into our lives. The general idea is that all change begins with your thoughts. This is what makes the universe such a beautiful and magical place, as your thoughts are the designers of your reality. Think of the universe and your collaborator. You have to take action in order to move forward and achieve your goals. If you sit back and wait for things to happen then the universe will also sit back and wait for things to happen. To get what you want you first have to take action and the universe will work with you. If you’ve enjoyed this post about visualisation techniques, then I highly recommend reading The Secret * by Rhonda Byrne.